For the month of May 2011, one-of-a-kind handmade bracelets will benefit GREY2K USA Education Fund which is a 501(c)3 organization dedicated to helping greyhounds. Their mission is to spread the word about these gentle dogs and promote adoption efforts nationwide. A special limited edition charm will be available for the first 40 bracelets… THIS CHARM IS NO LONGER AVAILABLE AS THE FIRST 40 BRACELETS SOLD! You will still love your beautiful bracelet which goes to a wonderful cause. Every bracelet comes with a paw print charm. The cost of each bracelet is $20/each + shipping. All money (less $4 for S&H) goes directly to GREY2K USA Education Fund. For our extensive online selection, click here. 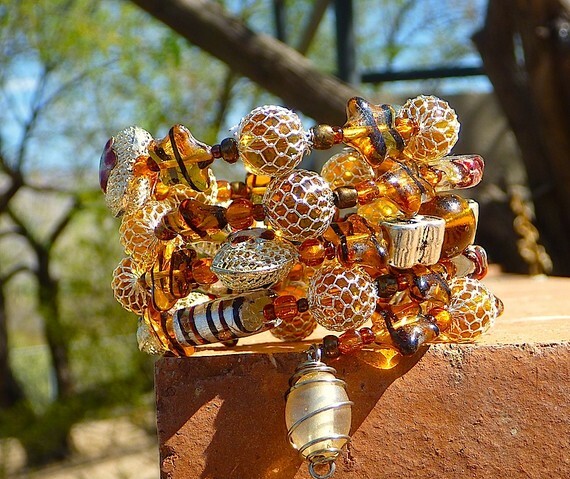 To buy bracelets in Tucson, visit Silver Sea Jewelry & Gifts at 330 N. 4th Avenue in the 4th Avenue Shopping District, 520-624-9954, or at Dirty Dawgs Dog Wash, 2510 N. Campbell Ave., 777-6045.